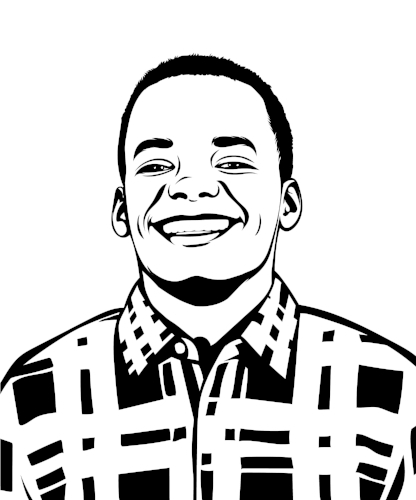 EPISODE 003 OF YOUNG AFRICAN ENTREPRENEUR FEATURES PATRICK MUHIRE, FOUNDER AND CEO OF VUGAPAY. You can connect with him @patrickmuhi on Twitter. Born and raised in Rwanda, Patrick is a self-taught coder. In 2015, he created VugaPay, a mobile money platform, after two days of frenzied code writing with his business partner and brother. In three years, he’s secured seed funding at Kigali’s seminal Transform Africa pitch event; snagged a $150K investment from famed Silicon Valley investor, Tim Draper; and moved to San Francisco to challenge himself and grow his business. VugaPay has since expanded to over 8 countries across the continent and counts over 20,000 users. My conversation with Patrick was illuminating – and a lot of fun. We chatted about his important early influences, the accidental success of his first app Rwanda TV, his counterintuitive secret to a strong pitch, and why he wishes he were Nigerian. There is much to learn from Patrick’s story, so I hope you enjoy our chat as much as I did. Why Patrick cut his losses with his first startup, VugApp, and moved to create another app.